Homes of Hope was started by the founders of YWAM San Diego/ Baja, Sean and Janet Lambert in 1991. Purchase the Homes of Hope Story to discover how one question sparked a global housing movement for the poor. Over 100,000 volunteers have discovered the joy of giving and thousands of families in need have received a new home and a message of hope. We’ve developed powerful drama tools to help you share the Gospel message. Our Mission Adventures Ministry Tools are specially designed to communicate across cultures, without having to learn a new language. These dramas are specifically designed to be used on outreach, yet are also appropriate for church services and other types of ministry. These are proven ministry tools that have been used all over the world. Each kit includes original music and have no spoken words, so they are appropriate for any language group. If you would like a box set (limited quantities available), the suggested donation is $60 or more. If you would like the downloadable version, the suggested donation is $25 or more. Contact our office at help@ywamsdb.org for more information. Based on Carmen's popular song, The Champion is a riveting battle between good and evil. It's a boxing match between Lucifer and Jesus. Just when the enemy thinks he's won, Jesus rises up as "The Champion." This drama requires nine actors and is 10 minutes long. Please note: The Champion soundtrack comes on CD in both English and Spanish. This powerful drama opens with a crucifixion scene followed by the introduction of four characters: Business Man, Druggie, Violent Man, and Religious Maniac. These characters interact with Jesus, each other, and the forces of darkness. Who will follow Christ? Who will turn away? It’s Decision Time! This drama is based on II Corinthians 6:2b “I tell you now is the time of God’s favor, now is the day of salvation.” The drama is seven and a half minutes long and requires seven actors. In this moving drama, follow the journey of a woman as she deals with rejection and battles finding her value. 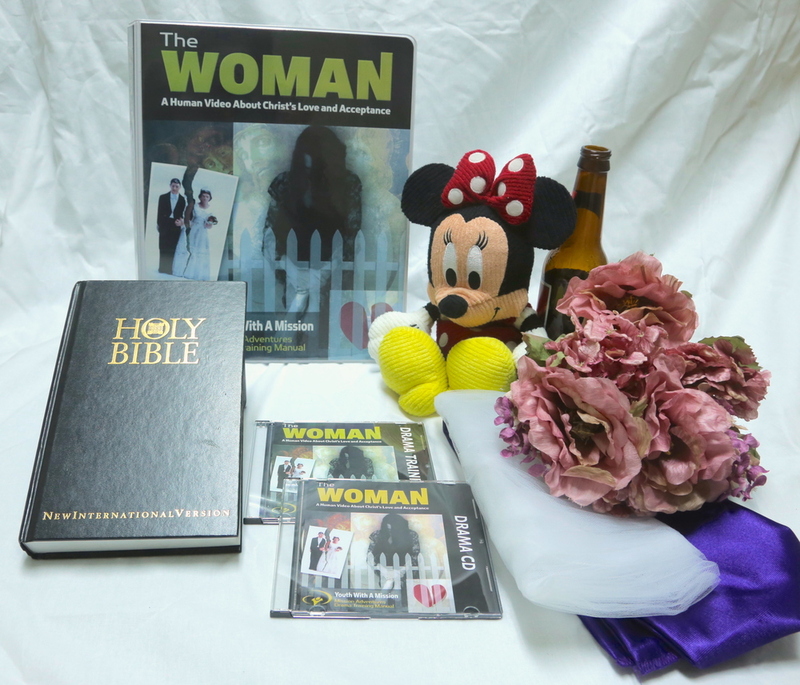 The Woman has proven to be a dynamic tool to deliver a powerful message about the value and identity God has placed on woman and their role in society. This drama requires eight characters and is five minutes long. This moving drama begins with a family interacting with Jesus Christ. They are the picture of unity and happiness. Sin creeps in and tears this picture perfect family apart. The Family vividly depicts violence, alcoholism, and teenage pregnancy common today. This drama is based on Malachi 4:6a “He will turn the hearts of the fathers to their children, and the hearts of the children to their fathers.” The Family is seven minutes long and requires six actors. King of Hearts powerfully portrays man’s attempt to hide behind a mask. Seeing beyond our outward appearance, the King reaches through to the heart. King of Hearts has been used throughout the world with amazing effectiveness. This drama reaches deep into hearts to unmask fear and insecurity, bringing life and freedom. Since the creation of man, we have been fascinated with the vices of the world, only to be led to death and destruction. Yet our loving God gives man freedom and salvation, through His Son, The Redeemer. The Redeemer has proven to be a dynamic tool to deliver a powerful evangelistic Gospel message to the lost, as well as minister God's love to the Body of Christ. This drama is based on Titus 2:14 "Jesus Christ who gave Himself for us to redeem us from all wickedness and to purify for Himself a people that are His very own, eager to do what is good." This drama requires five characters and is eight minutes long.